A wrist strap does exactly what it says. It is a simples trap that attaches your camera to your wrist. In the event that you drop your camera, a wrist strap will stop it hitting the floor. I make a few different designs from standard, to slipped, and plaited. 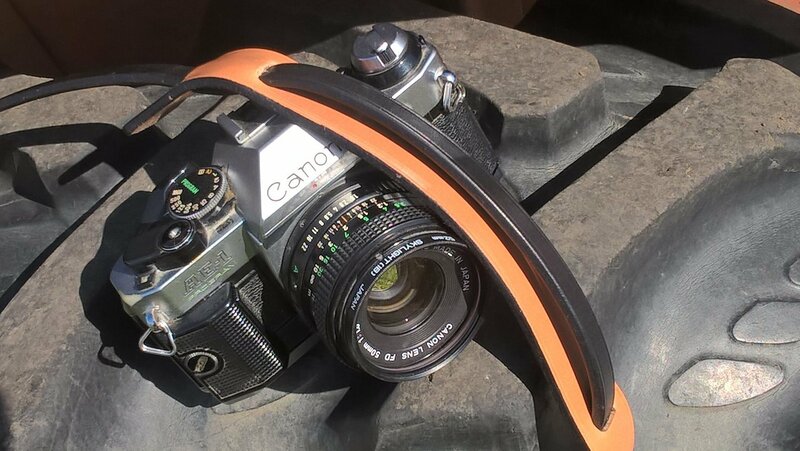 A neck strap holds you camera readily in place on your chest. It can either be a fixed length or adjustable. 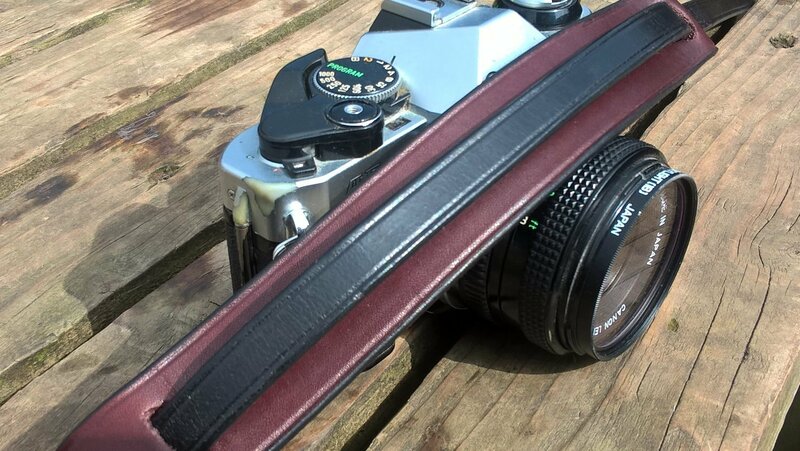 An optional wider pad can be used to help to take the weight of heavier cameras if required. A shoulder strap can be used for the heaviest of cameras. They come in a variety of lengths or adjustable to enable your camera to be carried across your body, or on the same side. Again a wide pad can be added to help spread the weight of your heavy camera. I have some ideas for future designs. These include heavy duty versions of my shoulder straps, a clutch strap, and a two camera harness based on a pistol shoulder harness. Fancy one of these designs, or have your own idea, then send me a message and I'll see what I can do. 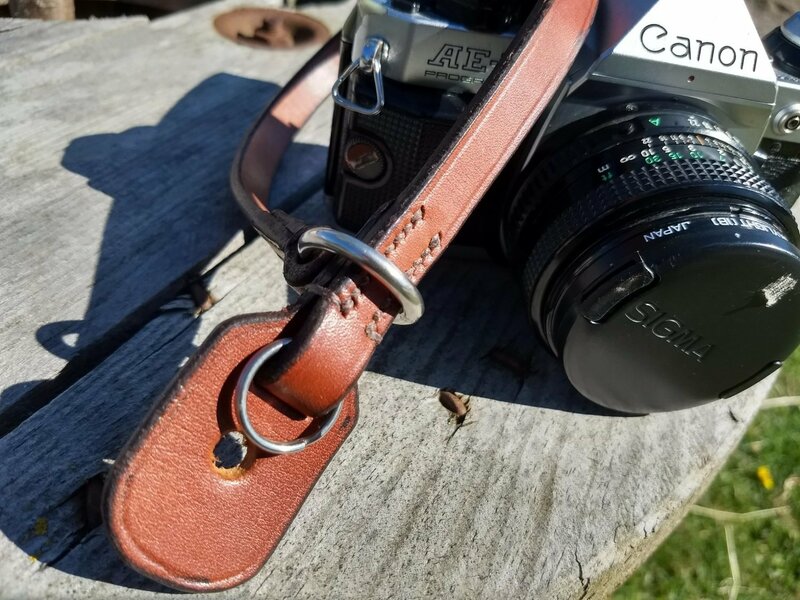 Already have one of my camera straps? Then maybe you would like to send me some pictures of it in use?